IBM announced today their latest Technical Refresh for IBM i, Technical Refresh 8 or TR8. Unlike previous technical refreshes it would appear that this release will only be for version 7.1. 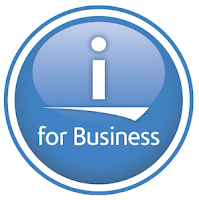 While their does not appear to be any enhancements to RPG or CL, there are enhancements to DB2 for i (aka SQL). The planned availability date is June 6, 2014. You can learn more about TR8 from the links below. ?? It is not a 'Technical Release'; IBM calls it a 'Technology Refresh' and introduced the phenomenon with 7.1. So all the previous ones were exclusively for 7.1. TR7 was for 7.1 and 6.1.1 . Read the Note which is part of the Overview section in the TR7 release document here.